Meet the Author | Search Inside Yourself: The Unexpected Path to Achieving Success, Happiness (and World Peace). A book by Chade-Meng Tan. 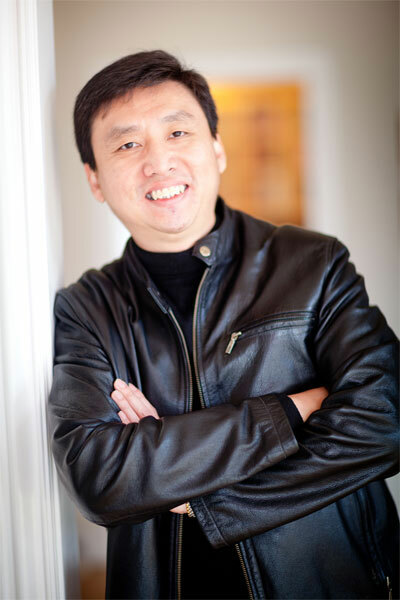 Chade-Meng Tan (Meng) is Google’s Jolly Good Fellow (which nobody can deny). Meng was one of Google’s earliest engineers. Among many other things, he helped build Google’s first mobile search service, and headed the team that kept a vigilant eye on Google’s search quality. His current job description is, “Enlighten minds, open hearts, create world peace”. Outside of Google, Meng is the Founder and (Jolly Good) President of the Tan Teo Charitable Foundation, a small foundation dedicated to promoting Peace, Liberty and Enlightenment in the world. He is a founder of Search Inside Yourself Leadership Institute (SIYLI) and a founding patron of Stanford University’s Center for Compassion and Altruism Research and Education (CCARE). He is also a Founding Patron of the World Peace Festival, and adviser to a number of technology start-ups. Meng earned his MS in Computer Science from the University of California at Santa Barbara. He considers himself a Buddhist “on most weekdays, especially Mondays”. He is an avid meditator, because meditation facilitates in him inner peace and happiness “without doing real work”. Meng occasionally finds himself featured on newspapers. He was featured on the front page of the New York Times and delivered a TED talk at the United Nations. He has met three United States Presidents, Obama, Clinton and Carter. The Dalai Lama gave him a hug for his 40th birthday. His personal motto is, “Life is too important to be taken seriously”.